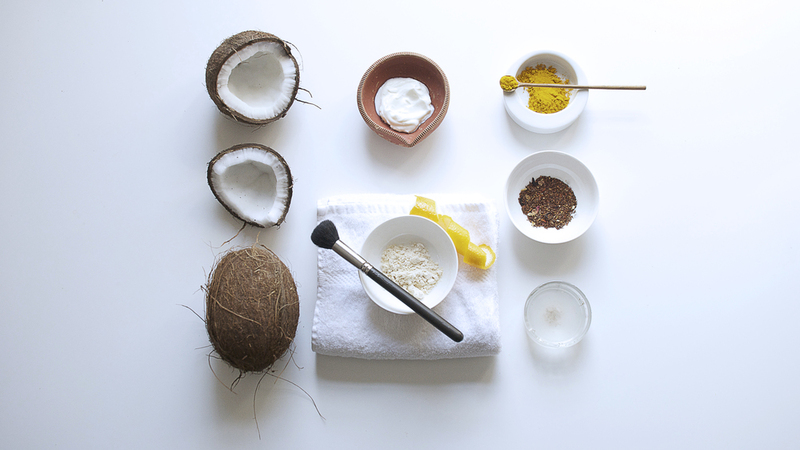 GOOD LIVING IS GLAM FOR ECO DIVA BEAUTY – If you consider yourself health obsessed, then you've probably explored the coconut craze in one of its many forms: coconut water, coconut oil, or even the milk. We know how hydrating the water is, how versatile the oil can be, and how delicious the milk is in some of your favorite dishes, but what really makes coconut a superfood? In one of my favorite DIY facials, I blend coconut water with the flesh of the fruit, releasing the beneficial oils and creating a delicately fragrant milk. Could you just buy “coconut milk” in the store? Absolutely, however packaged coconut milk often contains unnecessary ingredients and preservatives, so I recommend taking the extra time and effort to crack your own. Besides it’s actually a lot of fun once you get the hang of coconut cracking, and you know it’s actually fresh. 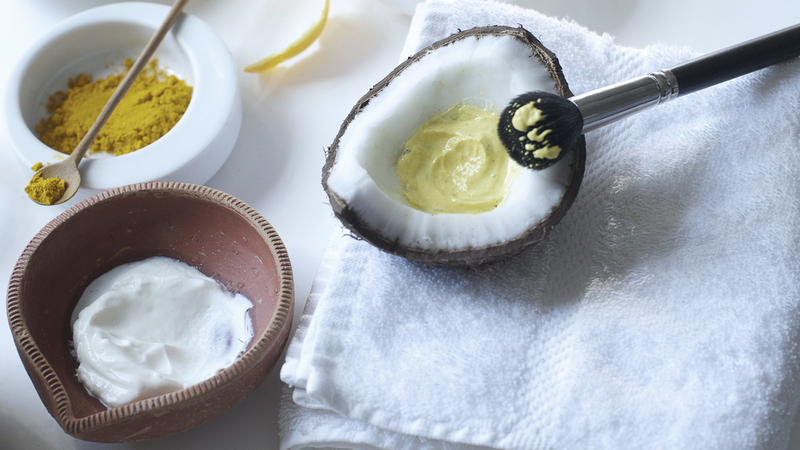 Its health benefits are nearly endless, but let’s focus on what it can do for your skin. Coconuts are rich in cytokines and lauric acid, a saturated fat that boosts the immune system and aids in cell growth and regulation. Due to their antibacterial and antiviral properties, coconuts can be used to relieve skin conditions such as eczema and psoriasis when applied topically. High in Vitamin C, coconut water balances PH levels and helps minimize skin aging by keeping connective tissue hydrated. To release the water first, locate the three “eyes” at the top of the coconut. With the coconut on a non-slip surface, find the soft eye, and puncture it with a metallic skewer. Turn it upside down and drain the water into a container. There are several ways to split open a coconut. Once the water has been drained, locate the seam running along the equator of the coconut. With a blunt chef’s knife, tap firmly around the seam as you rotate the coconut in the palm of your hand until it breaks open. I prefer a different method. I put the coconut in a plastic bag, and place it on a concrete surface, where I tap the coconut until it splits open. However with this method, the pieces are rarely equally split. Follow the above directions to drain and split the coconuts. Remove the flesh from the husk using a chef’s knife. Transfer the coconut water and the flesh to a blender and add the 3 cups of water. Blend until smooth then pour mixture through cheesecloth, squeezing out as much liquid as possible. In a small bowl or in one of the coconut halves, mix the gram flour, lemon juice, yogurt, honey, turmeric and 2 tablespoons of coconut water. Apply to your skin with a brush or clean fingertips. Let dry for 10-15 minutes, and rinse with cool water. Always remember to moisturize after applying a mask. I recommend using the reserved coconut milk as a gentle face wash, as it can be stored for 2 days in the refrigerator. 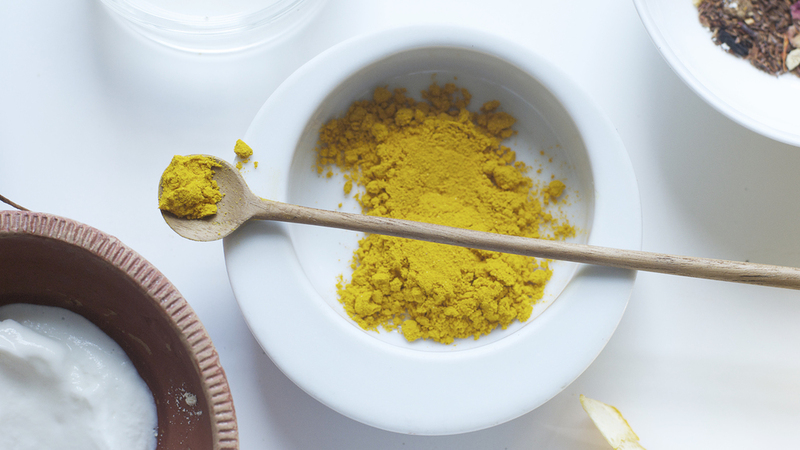 About the other ingredients – Chickpea flour cleanses and exfoliates the skin; turmeric brightens; yogurt moisturizes and brightens; honey is clarifying, moisturizing, anti-bacterial and full of antioxidants; and lemon brightens and evens skin tone.